Hey, crypto-oldtimers and newbs (and everyone in between)! Maybe you are in, or can easily recall, your steepest learning phase of bitcoinology? Have you ever spent a whole month (or more *cough cough*) solidly lurking and reading every possible link on r/btc (or maybe you started out in r/bitcoin?!! or an even older forum?!!! ), fallen down countless rabbit holes, and have only investigated the tip of the crypto-iceberg? Are you worn out from being baited by hordes of internet trolls and helping to educate countless newbs on those monster threads on reddit or twitter? Have you seen *all of the memes*? Is emerging from online Bitcoinland with your mental and physical health part of the equation? There is an urgent need for people to do the real work of making useful things and taking actionable steps to improve the value and encourage adoption of bitcoin (cash) in the real world. Ok, many of those tasks involve being online, but not 100% of the time. Satoshi's prescription for generalized crypto-anxiety may be common sense. 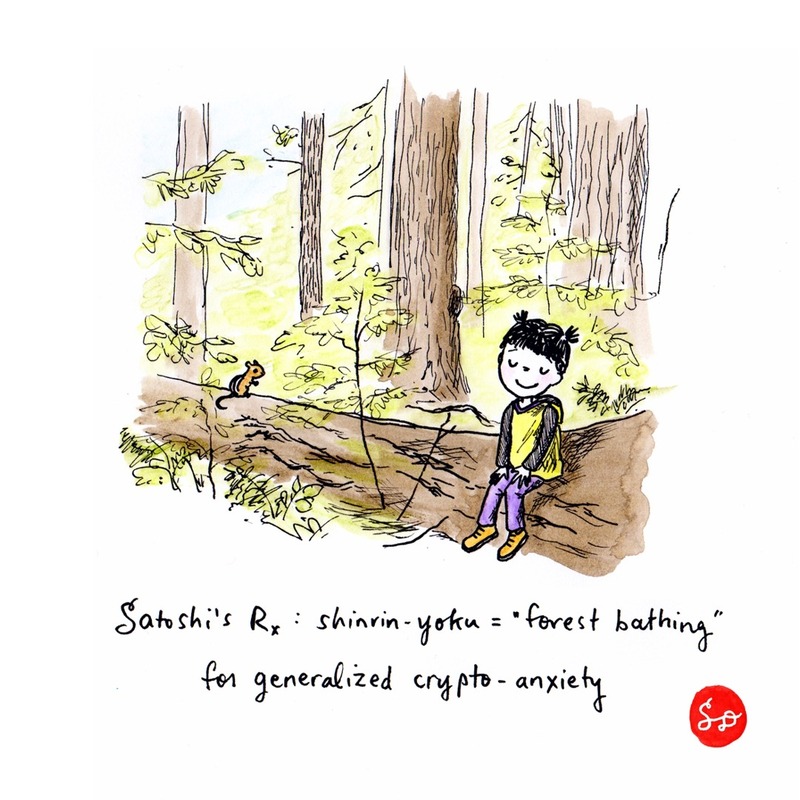 "Forest bathing" (or the Japanese concept of shinrin yoku) is not a recent discovery on an intuitive level.